“They changed my family’s name at Ellis Island.” You hear that often. It’s a myth, an urban-immigrant legend. The Ellis Island clerks operated from passenger lists created by the ship captains or their agents at the port of origin who spoke the immigrant’s language or had translators who did. 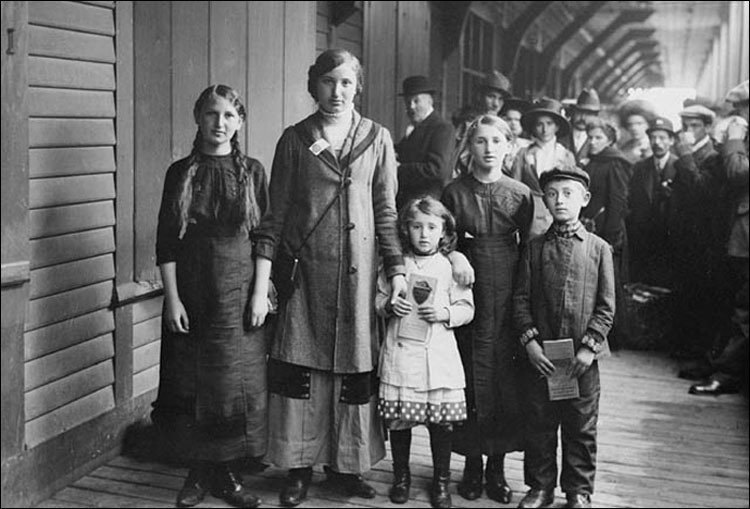 When people came to Ellis Island, the intake interviews were done by an army of clerks who were required to speak at least two languages fluently. There was no need for guessing with talent like future New York mayor Fiorello LaGuardia who spoke English, German, Italian, Croatian, Hebrew and Yiddish. He understood the people he dealt with and wasn’t allowed to doctor documents. Actually, the whole operation, pre-computer, was astonishingly professional and exact, even with the rivers of people flowing through the doors. Once settled in the U.S. there was plenty of reason and pressure for new arrivals to fit in, Americanize their name or even make up a new one. Children enrolled in school might be registered with a more Anglo version of their first names, Joseph for Giuseppe, for instance, Henry for Enrico. Funny little marks, like the German umlaut, got lost on the street. Too much home baggage. But all that baggage did get through Ellis Island.